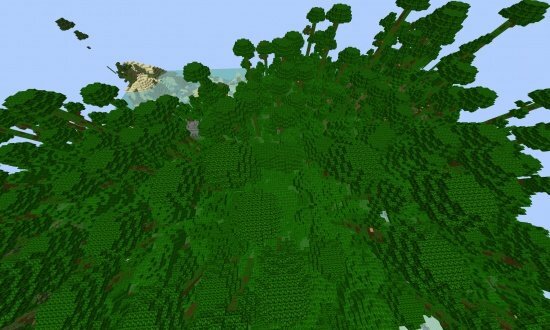 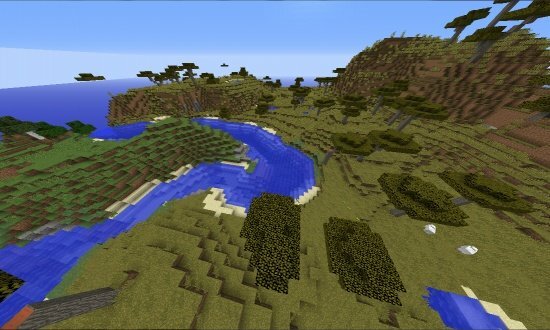 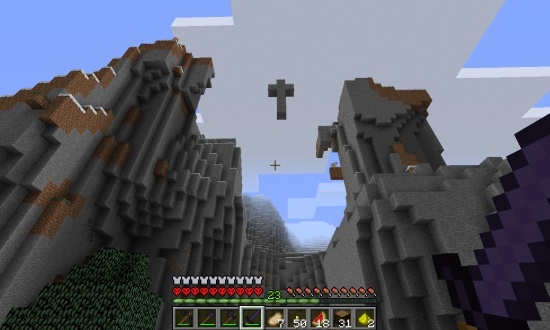 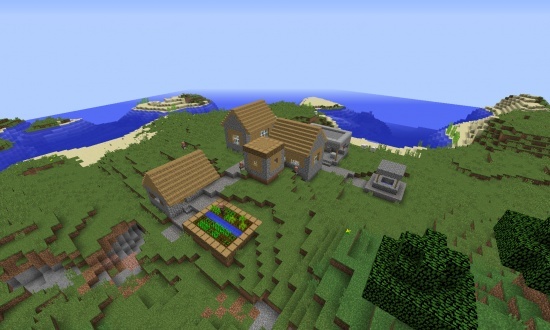 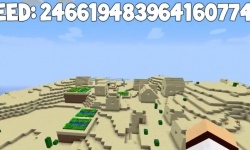 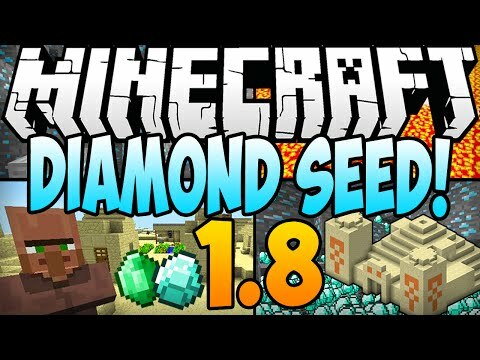 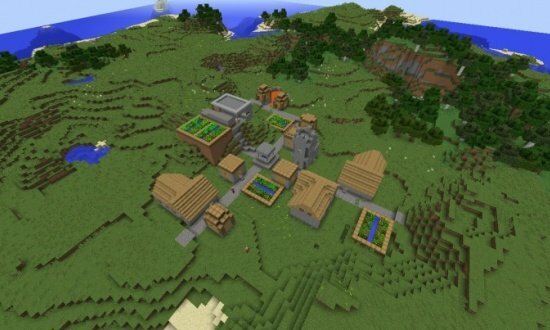 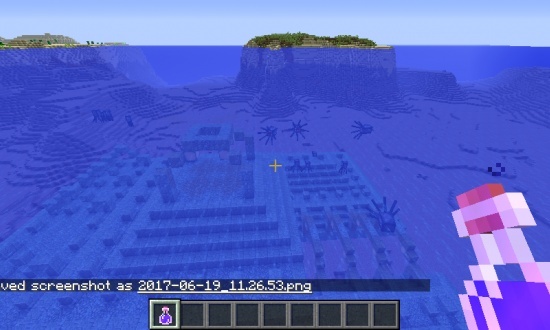 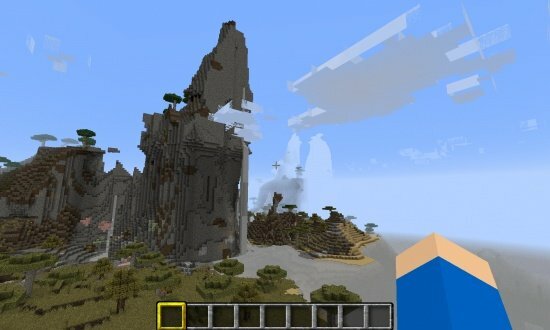 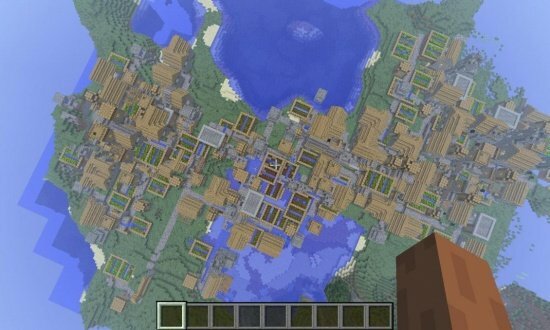 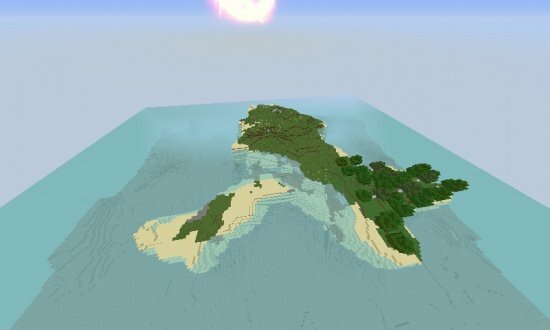 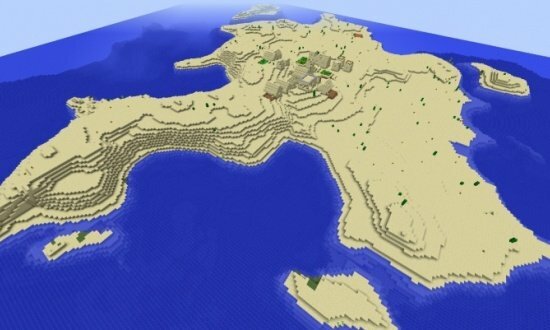 This Minecraft 1.8 Seed has a Desert Temple and NPC Village at Spawn. 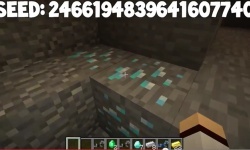 In the Desert Temple you'll find 7 Diamonds. 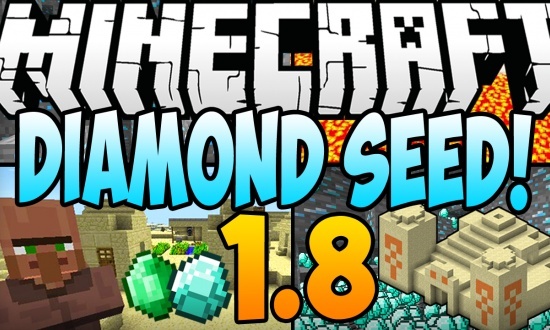 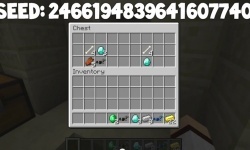 Dig down below the temple and you'll find a Cave with 9 more Diamonds!